A blog about food, family and photography. Everyone has them; the situations in life that make you go hmmm… things that just don’t seem right. So here are some of mine – this probably won’t be the last installment of random thoughts, but it’s a start. Why do we put seat liners on public toilets, but pay no mind to putting our tushes on (other people’s) home toilets. Is it that we think the butts of our friends are cleaner than the butts of strangers? How well do you really know your friends’ butts? Ever notice how the speed of other cars on the highway is completely relative to yours? If you’re going 15 over, all the cars going the speed limit are slow, and if you’re going the speed limit, all the cars going 15 over are flying. You, on the other hand, are always going the perfect speed. Commence – This word has made me look like an idiot on more than one occasion. For some reason I can’t remember that the commencement speech which takes place when you’re finishing something (like school) was given the name to signify the beginning of something (like life) and not the end, which would seem much more logical to me. It just doesn’t seem right, and I will probably continue to misuse this word. 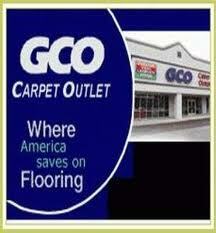 GCO Carpet Outlet – This one has bothered me for a while… you know what GCO stands for? Georgia Carpet Outlet. That’s right. The name is Georgia Carpet Outlet Carpet Outlet. Stupid. I get a sick sense of satisfaction when someone flies by me on the road, cutting in and out of traffic only to get stopped at the same traffic light that I roll up on a few seconds later. Very hard to wipe the smug grin off my face when I get this privilege. There are just some words in a work setting that I will not abbreviate… Save the Date is one of them. 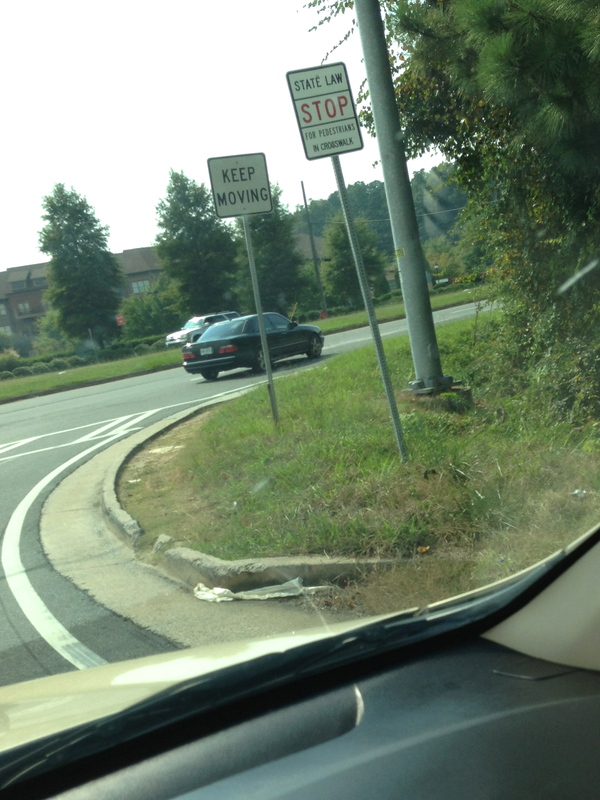 I love it when the DOT places two contradicting signs right next to each other… this my friends, is what causes all the unsure drivers to stop when they should keep moving on my drive home. Oh yeah, and raise my blood pressure a smidge too. This entry was posted in Me and tagged Commence, Driving, FedEx, Georgia Carpet Outlet, Hmmm, Hot dog, Random, Random thought, Speed limit, Toilet by biscuitsncrazy. Bookmark the permalink. I think I might know the corn dogp person. I just cannot believe there are always so many Slow Children Playing. What cultural affliction made so many people give birth to slow kids? Slow Children are easier to hit. I want to know where the neighborhoods with fast children are…much more challenging. And who is this Chinese person, Ped Xing? Why does he/she pay so much to have his/her name advertised in every city/town I go through? Are we supposed to vote for that person or something? Lastly, how do Deer know to cross the road at their specified “Deer Crossing” signs? Can they read?